Okay, now that that’s out of the way, let’s talk about the first thing on our list…. 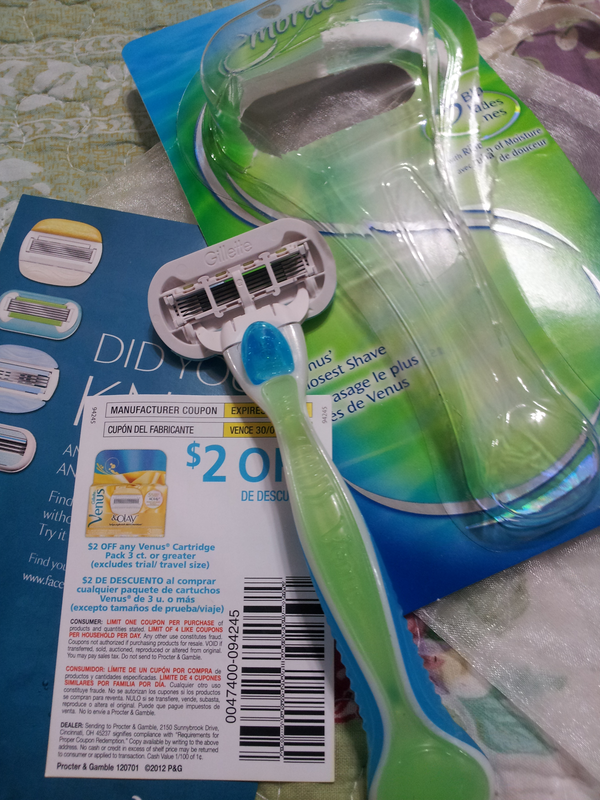 As you can see, I got a $2 coupon for when I purchase my next refill for the razor. Pretty sweet! Okay, so what is the Gillette Venus Embrace? Well, according to Gillette Venus, this razor features 5 different blades that help give you the best shave you can possible get—with 5 blades, it’s not going to miss one single hair! There are ribbons of moisture surround the blades so that it glides effortlessly and smoothly over your skin while giving the newly-shaved area a bit of moisture to leave it feeling velvety soft. I’ve used this razor several times and I am REALLY liking it! I’ll be honest and say I usually just get the cheap, disposable razors in the past, but I have a history with nicking or cutting myself with those. So, this Gillette Venus Embrace razor is pretty sweet as it glides smoothly over my skin, The moveable head on this razor acts as a protector against nicking yourself when you go around those hard to reach areas—like your knees or ankles! And—the best part—is that the Gillette Venus razor handles will fit ANY Venus blade refill! 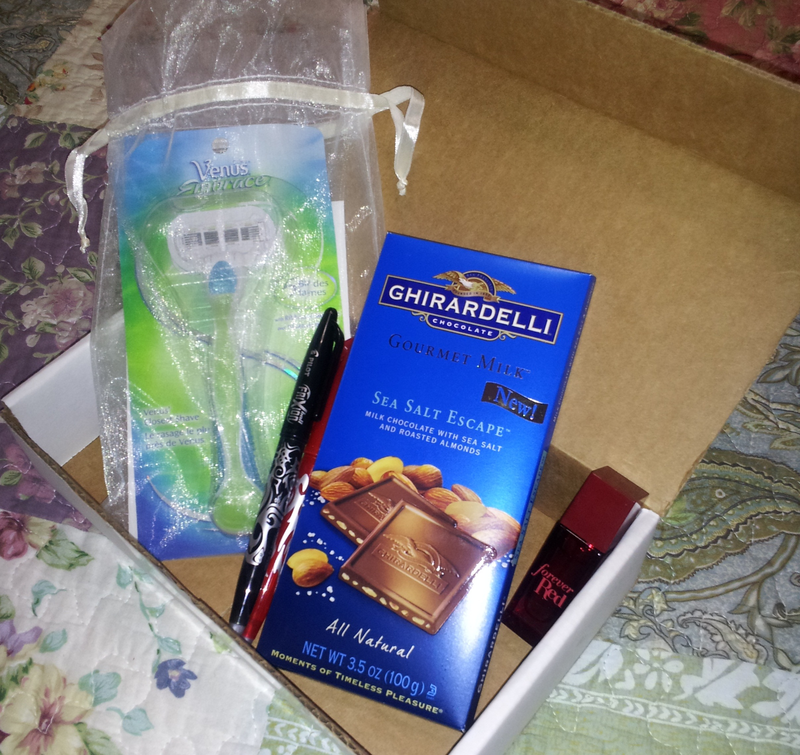 I received the Gillette Venus Embrace razor and Venus & Olay refill complimentary from Influenster. All thoughts and opinions are my own.